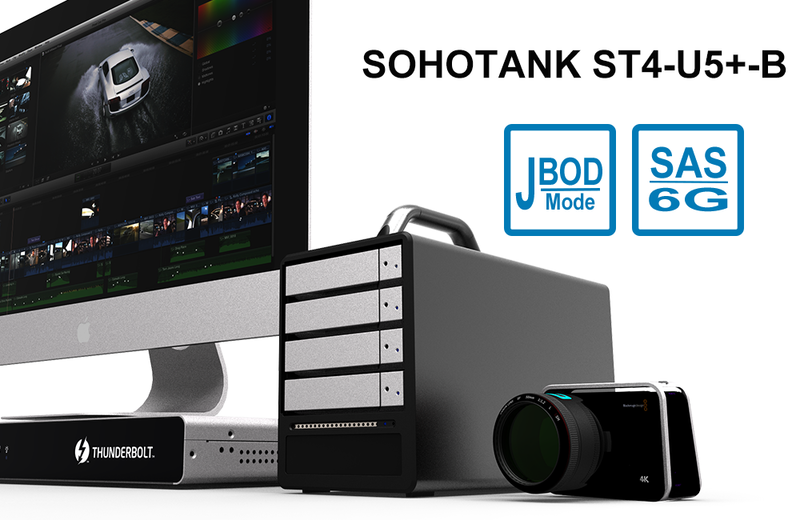 ST4-U5+ provide four HDDs storage system with JBOD storage, ST4-U5+ is compatible to most of 10TB HDD product which are available in the market. 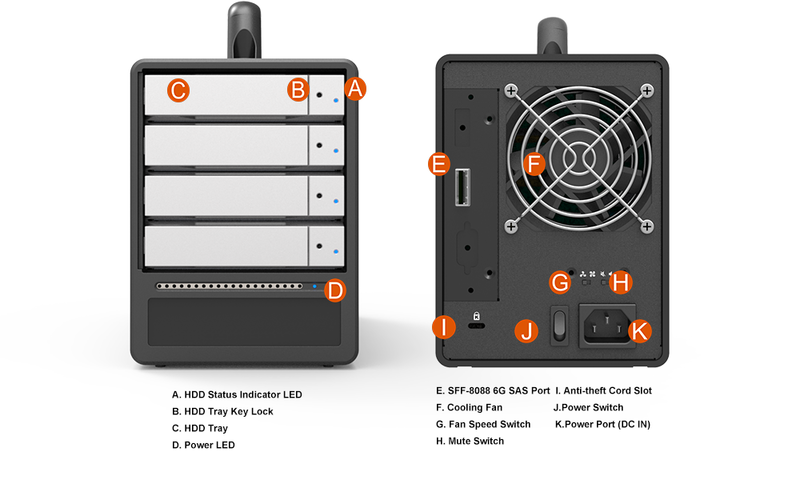 Under RAID adapter which its RAID 0 mode, you could get an almost up to 40TB storage capacity. 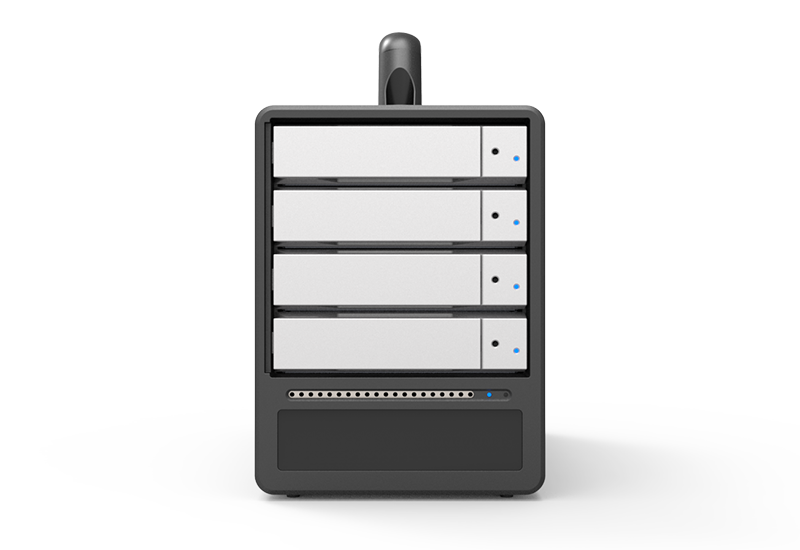 And its RAID 5 feature not only gives you a good data protection but also an almost up to 30TB storage capacity! 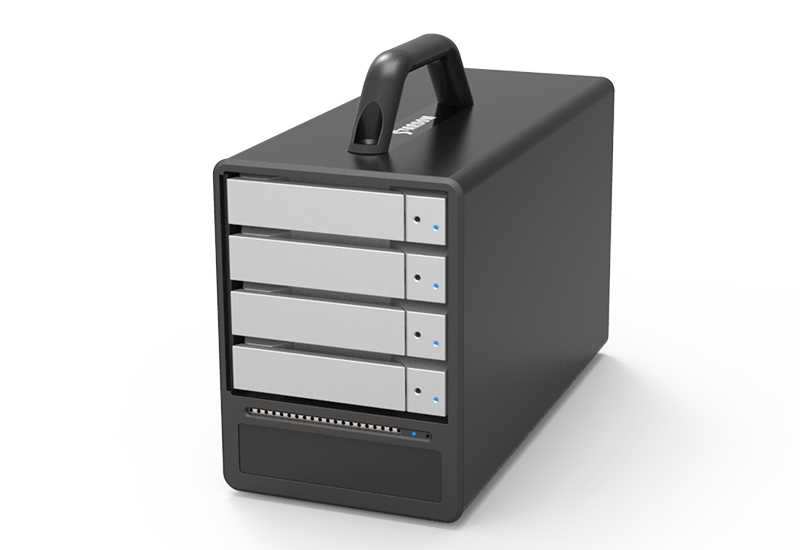 ST4-U5+'s 4-bay chassis provides you an up to 40TB storage capacity and supports any kind of storage disk platforms, both of 3.5" and 2.5" SATA and SAS HDD/SSD products. 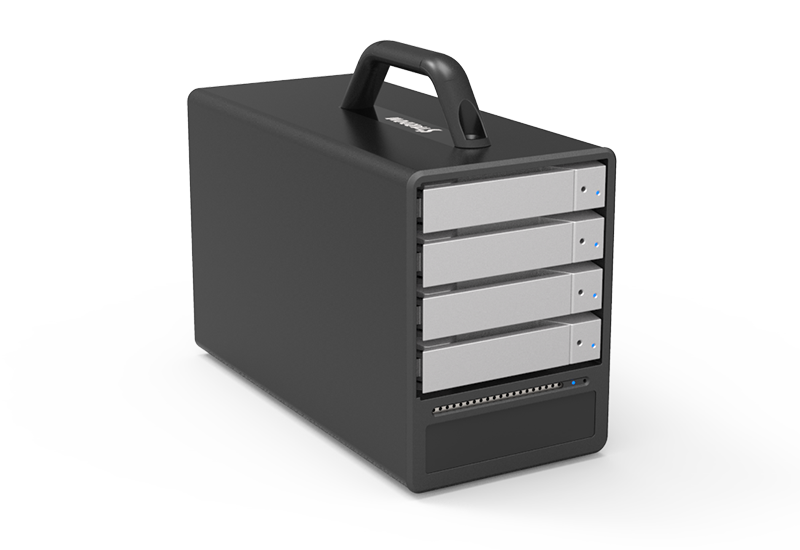 It's strong aluminum extrusion chassis provides you an excellent protection at your 4 storage disks which you could fully rely on it for your daily heavy-duty works. ST4-U5+'s miniSAS interface supports SFF-8088 to SFF-8088 miniSAS cable which includes 4x6Gb/s bandwidths and lets each HDD/SSD gets a whole 6Gb/s bandwidth alone. It brings you a best efficiency for data transfer for your heavy-duty video editing works! ST4-U5+ is also designed with the MCU feature which monitors and helps improving its in-chassis system temperature. While the system temperature rises up to 50 degree-C (118 degree-F), MCU will bump up the 8 cm fans with full speed; and once system temperature goes down to 45 degree-C (109 degree-F), you could manually adjust fan switch on the rear, MCU would reduce the fan speed down to a half speed for a better green user environment from a less fan noise and lower power consumption. Its 4.0 mm thickness aluminum extrusion production creates a very strong and seamless chassis to perform good at both of data protection and heat dissipation for your data disks. And even with its casted zinc-alloy handle, you could enjoy its good mobility feature at your work. 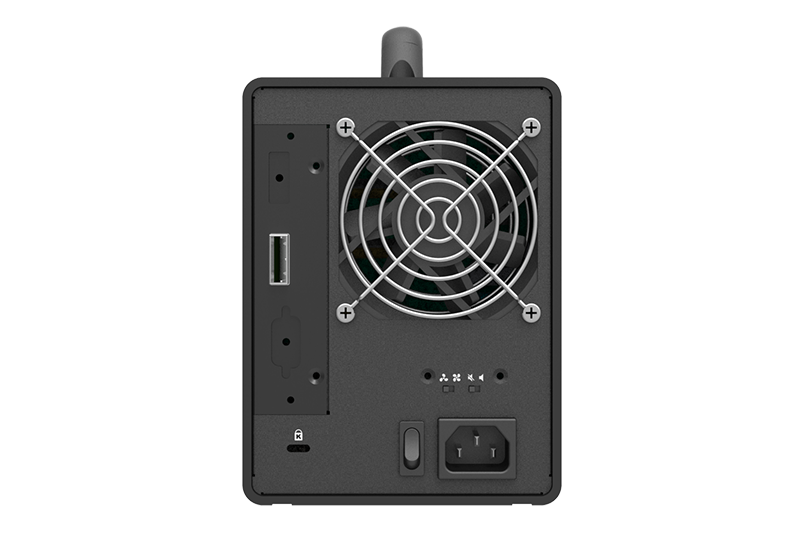 ST4-U5+ uses conform with safety regulation certified 150W power supply unit which provides a stable and high efficient power output and definitely satisfies the big power consumption from all 4 HDDs. 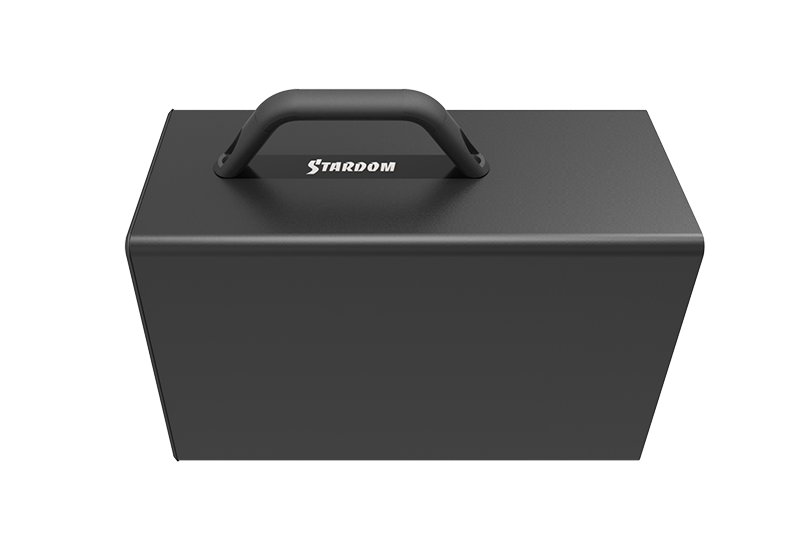 Thru one new Stardom SA2TB3 docking, you could easily connect two ST4-U5+ with a total 8 HDDs to your new Mac Thunderbolt. This solution also gives you an excellent data transfer rate up to 1300MB/s with its RAID 5 feature which lets you not only enjoy watching your 4K video with no missing frames but also get a perfect data protection for all your data in 8 HDDs.